You'll recieve 10% commission on all of product sales both in-stock and custom items made through your affliate link. Our Internet affiliate program can make you money. 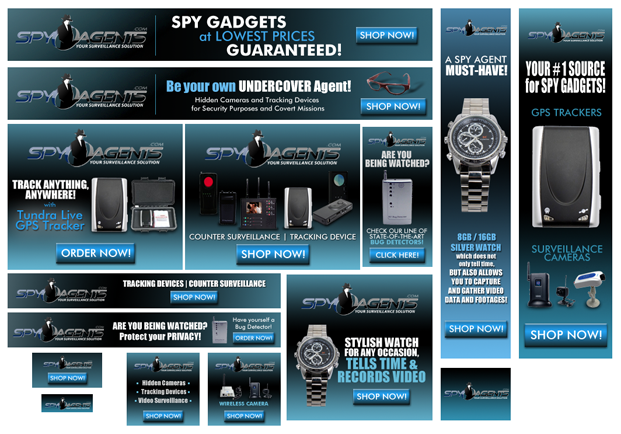 Just put a Spy Agents ad or link on your blog, website or newsletter and you pocket 10% on purchases your visitors make on Spyagents.com. The best affiliate programs center on products that are highly needed like products and services in the home security industry. It's a plus that Spy Agents is recognized by most schools and students nationwide. Join Spy Agents' affiliate program –create new sources of income with very little effort and benefit teaming up with one of the largest names in the home security industry.